Mission: To save the lives of children with heart disease, we partner with organizations to train medical teams, provide education and transform health care in underserved parts of the world. Children’s HeartLink is a US 501(c)3 nonprofit organization with a mission of increasing access to care for children with heart disease. Since 1969 Children’s HeartLink has been dedicated to caring for children with heart disease. On an annual basis, over 80,000 children are served at our partner hospitals and programs around the world. Over 5,000 medical professionals in underserved regions are now more equipped to care for children with heart disease. National Children’s Hospital has joined the International Quality Improvement Collaborative (IQIC). Dr. Truong, head of cardiac surgery, was funded to attend the 2017 World Congress of Pediatric Cardiology and Cardiac Surgery in Barcelona, Spain, where he participated at the pre-conference IQIC learning session. Improve nurse-to-patient ratio in the intensive care unit (ICU) by increasing the number of ICU nurses, advancing their training, and creating teaching resources in Vietnamese. Dr. Truong’s team has begun collecting baseline data from National Children’s Hospital on volume of procedures, types of procedures, infection rates, mortality rates, etc. Their first quality improvement project will be focused on reducing pneumonia associated with ventilator use. 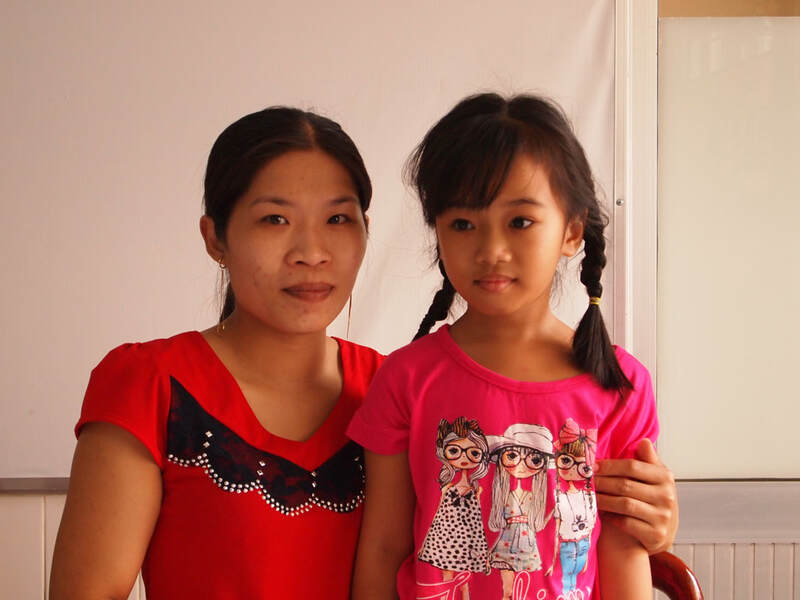 Diagnosed with a heart problem two years earlier because she had a persistent cough, 6-year-old Ai Vy was referred to Children’s HeartLink’s newest hospital partner site in Rach Gia, Vietnam, where she was treated in April. The trip from their small village to Kien Giang Hospital in Rach Gia took Ai Vy and her mother two hours on a motorbike, and they had to borrow money to pay for the trip. Her father is a construction worker who couldn’t afford the time away from work. Her mother works temporary jobs to make ends meet. Ai Vy was on the waiting list for a long time before she got the help she needed. This is typical for kids with heart conditions in Vietnam because there are so few pediatric heart specialists in the country. Before leaving home, Ai Vy told her friend: “I am going to get my heart fixed, and when I come back home I get to go to school!” A future to look forward to: that’s what our work makes possible, for Ai Vy and for other children with heart disease. Before she had heart surgery at age 2, Phuc wasn’t expected to live. Now she has a life typical of 6-year olds everywhere. She goes to school and spends weekends playing with her neighborhood friends. Her favorite class intensive English. She likes playing with her stuffed doll, and she loves her family. She makes her mother proud by insisting on putting money into charity boxes whenever she sees them, evidence that she has a good heart. None of this seemed possible before her lifesaving surgery. Dr. Phuc at our partner hospital in Ho Chi Minh City was the person who helped give young Phuc a second chance. Young Phuc’s mother was so grateful that she renamed her daughter in honor of Dr. Phuc. “I hope that Phuc will grow up to be a helpful, good person. That she will have a good heart, caring and sharing with everyone,” says her mother. 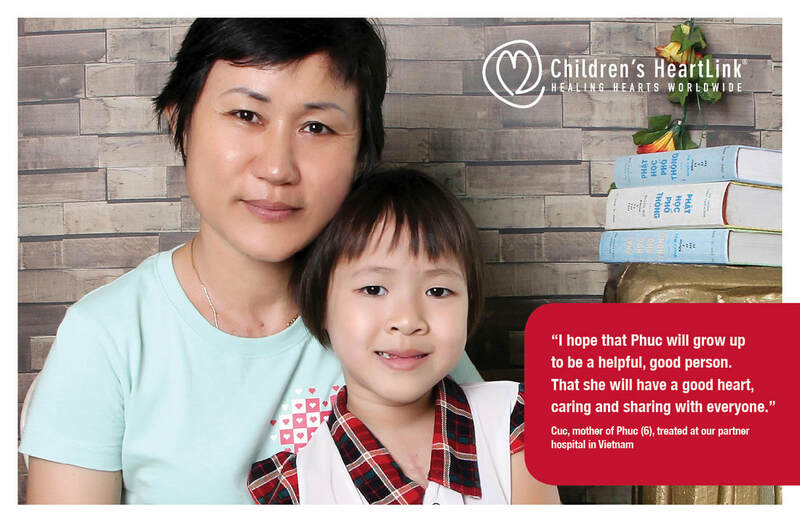 Because of the expertise of doctors and other heart specialists trained by Children’s HeartLink, Phuc is leading a full life and enriching the lives of the people she loves.